Researchers from the University of Sydney recently released a study that shows that people with back pain have an increased risk of dying from all causes. 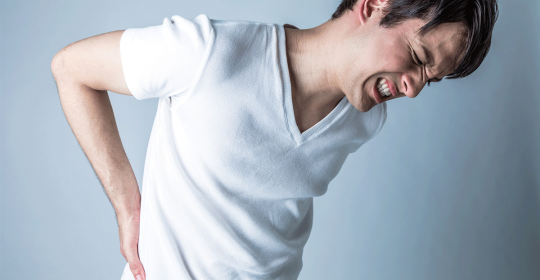 Back pain is one of the most common complaints in outpatient clinics worldwide and a major reason for disability. However, the link to an increased mortality was unknown so far. The study was published in the European Journal of Pain. It included 4390 Danish twins aged more than 70 years and used the data of the Danish Cause of Death Registry. “Our study found that compared to those without spinal pain (back and neck), a person with spinal pain has a 13 per cent higher chance of dying every year. This is a significant finding as many people think that back pain is not life-threatening,” said senior author Associate Professor Paulo Ferreira, physiotherapy researcher from the University’s Faculty of Health Sciences. “Back pain should be recognised as an important co-morbidity that is likely to impact people’s longevity and quality of life. . . With a rapidly growing aging population, spinal health is critical in maintaining older age independence, highlighting the importance of spinal pain in primary health care as a presenting symptom,” Ferreira said. Cardiovascular diseases and genetic factors could be excluded as causes of higher mortality. Therefore, future research is needed to explain the link between back pain and increased risk of dying. Back pain and Neck Pain are rather symptoms than diseases. Meaning there can be various causes for your back pain or neck pain. Therefore the most important step is to find the right diagnosis by appropriate examinations. Only then the treatment can follow. To overlook serious underlying diseases and start treatment could have fatal consequences.